At Chimney and Wildlife Specialists, we firmly believe that hiring a professional to do work on your home should not be a huge ordeal. They’ve been in business for a while. We’re not trying slam any legitimate chimney repair services that are trying to get off the ground, here—everybody’s gotta start somewhere! However, the fact remains that companies in our industry that do shoddy work tend to not stay in business for very long. So, if a company has been operating out of the same area for several years, it probably means that they’re pretty good at what they do. If a technician arrives at a job site in an unmarked van or truck instead of a vehicle that clearly states the name of the company, then keep your guard up. The vast majority of trustworthy companies have a “Testimonials” section on their website where they show off reviews from past clients who were satisfied with the work that they did. Chances are, not every single person who has ever hired that company will have left a review. But you can use the available information to get a general idea of what you can expect if you choose to work with them. While one negative review in a sea of positive ones shouldn’t be cause for too much concern, be very wary of companies that have primarily mediocre or negative reviews…or don’t seem to have any reviews at all. In infestation situations, they’re interested in prevention. When birds, rodents, or other pest critters hole up (or, worse, die) inside of a chimney, most homeowners are only concerned with getting the squatters out as soon as possible. However, a reputable firm will not only remove the animal(s), but they’ll also come up with a plan to reduce your risk of having pest control issues in the future. 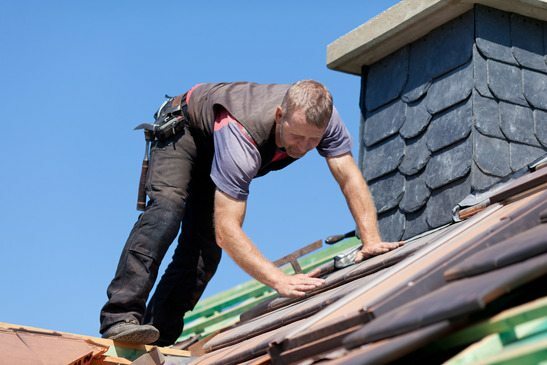 Generally speaking, when people hire construction or home improvement companies to do work on their property, they assume that all of the labor will be done “in-house.” After all, it seems logical that if you sign a contract with Company A, then only people who are employees of Company A should play a role in completing the project. In reality, though, it’s common for companies in our industry to hire subcontractors—especially if their business provides a wide variety of services. You may sign a contract with Company A, but the workers who show up at your house could actually be employees of Company X, Company Y, or Company Z. Most chimney businesses that don’t hire subcontractors will say so on their website. If you don’t see any information on the topic, though, don’t be afraid to ask a company representative about it! Nobody really “likes” taking the time to research and call different repair companies, but it really is a critical step to take if you want to protect yourself and your home from dealing with additional (potentially very costly) problems down the road. At Chimney and Wildlife Specialists, we pride ourselves on our commitment to doing quality work and providing excellent customer service. You don’t have to just take our word it, of course. But if we’ve managed to win you over…give us a shout the next time you find yourself in need of a chimney inspection, cleaning, or repair!